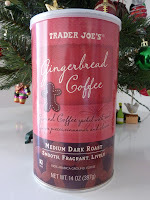 In the past, Trader Joe's has demonstrated an uncanny knack for nailing all things gingerbread-ish. Case in point: the cookie butter. It's not really gingerbread, but it is "reminiscent of gingerbread." Also, the gluten-free ginger snaps, the lemon triple ginger snap ice cream, and the pfeffernusse are all TJ's gingerbread (or at least gingerbread-esque) classics. I believe this is the first gingerbread beverage I've ever had. It's quite drinkable. Not chuggable, in my opinion, but very drinkable. I guess I should mention, in case you're a new reader, that I'm not a coffee person. I have the palate of a semi-sophisticated and relatively adventurous 12-year-old. And I like my beverages to taste like candy. So for caffeine, I drink energy drinks. Yes, they're bad for you...however, I've only been drinking ones without high fructose corn syrup, and have been feeling much better since cutting that out of my diet. But that's neither here nor there. My point is that recently, I've been attempting to plunge head-on into adulthood and become addicted to coffee instead of energy drinks. It's a difficult transition for me—even with coffees that taste as delicious and unique as this one. I put a fair amount of sugar and milk in it when I drink it, though most coffee drinkers might put in less. But I guess gingerbread is intrinsically dessert-like in a way, so the presence of milk and sugar might be a welcome additive even for coffee purists who would only drink this stuff on special occasions and holidays. This coffee has a mild cinnamon taste, but there really are hints of gingerbread in it, too. It's not a harsh or bold taste at all. This product strikes me as a gentle winter morning wake-me-up beverage. It's nice. Kind of a peaceful flavor, if that makes sense. Sonia likes it, too. She doesn't think there's anything particularly wintery about it, though. She hopes to ration her canister and enjoy this coffee well into the spring...which, apparently, is coming next week. Philadelphia isn't supposed to be in the 50's in the middle of January. Sonia gives it 4 stars. I give it 3. 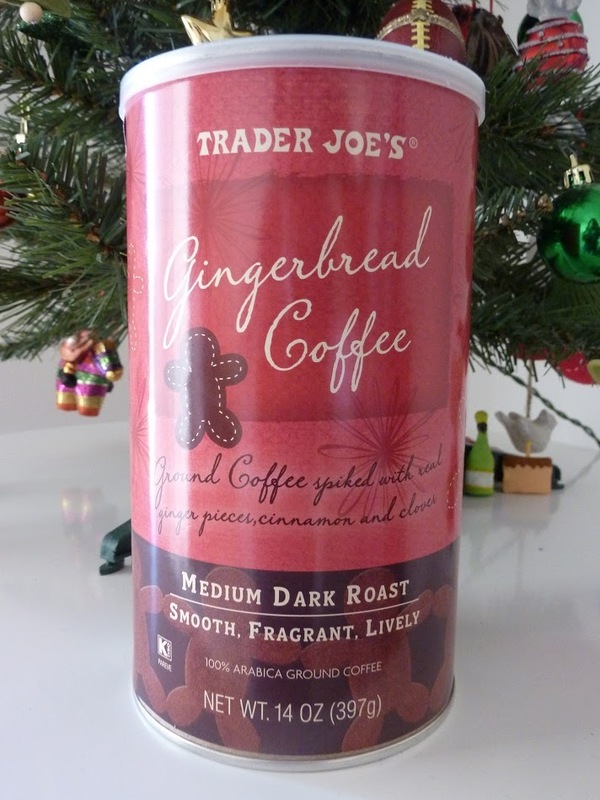 A TJ employee told me the gingerbread was a bit too strong (spice wise)... Have u tried their seasonal Wintry Blend? now that is to die for... its got a hint of peppercorns as well as cinnamon and cloves.. She even doubled the order from the warehouse since it seems to not last at the store. I didn't think it was all that strong, Brit. But if it strikes you that way, 50/50 with non-flavored is probably a good idea!